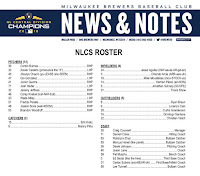 Blog Kiosk: 10/12/2018 - Dodgers Links - Game 1 Today! Who knew Maeda had such style? 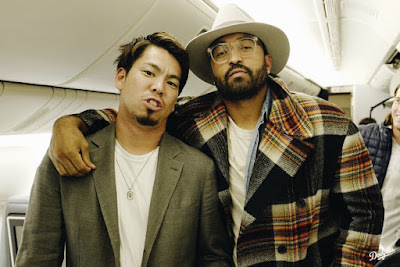 Check out Kenta sporting a rather stylish outfit with the Dodgers resident fashion maven, Matt Kemp, while on the plane as they head out to Milwaukee for today's game, via the Dodgers on twitter. 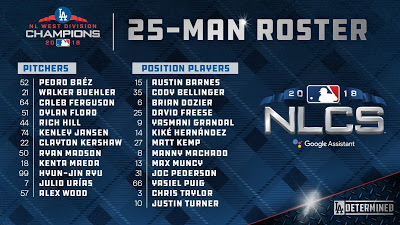 BTW, the Dodgers released their roster for the NLCS this morning and there is only one notable change. Lefty Julio Urias will replace fellow-lefty Scott Alexander in the bullpen. 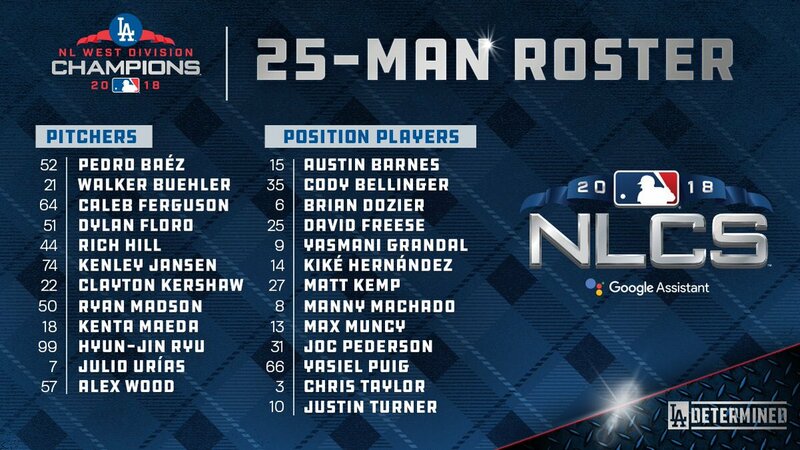 Check out the entire roster below. On a side note, I am very excited about this series, and not for why you might think. 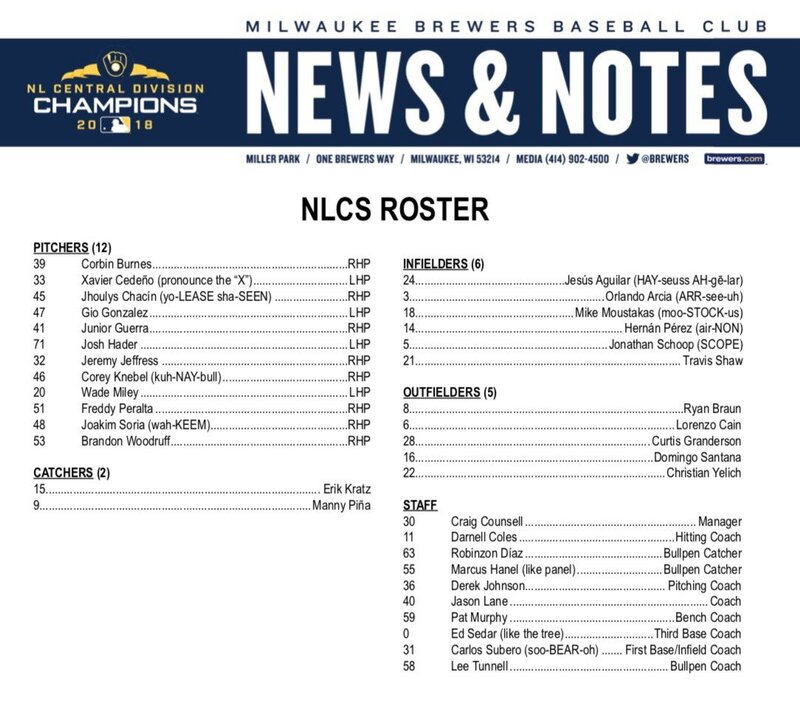 One of my favorite teams growing up (other than the Dodgers) was the Brewers, and the reason isn't really all too surprising. The very first little league team I played on was the Brew Crew, so as a child I gravitated, just a bit, towards that club. I followed them in the standings and would collect players like Cecil Cooper, Ben Oglivie, Ted Simmons and Gorman Thomas. But there was one player I was absolutely smitten with. It was Robin Yount, and to this very day I still collect his cards. So, this matchup brings up all kinds of weird feelings -- most of which is utter excitement at seeing a boyhood dream finally come true. As I'm sure you know, this is the very first time the Dodgers and Brewers have ever faced each other in the playoffs.